News that the historic Maple Street Mansion could possibly be demolished has drawn harsh criticism throughout the city of Carrollton. Lijin Lin, an Atlanta native, recently acquired the property and sought a demolition permit from the city of Carrollton. The permit was granted which the sparked outcry from Carrollton residents. 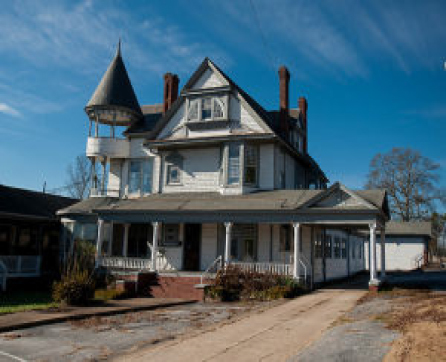 Carrollton attorney Richard Diment recently became involved in an effort to determine a solution that would preserve the local landmark. “His first preference is not to demolish it, but to repair it,” said Diment. Lin is a private owner of the property, which currently is not historically protected. The Maple Street Mansion was constructed in 1890 by L.C. Mandeville. Mandeville came from a well-known Carrollton family and was the founder of the Mandeville Cotton Mill. For years, the property served as a restaurant and bar, which soon closed and left the Mansion to sit idle for several years until now. Diment is planning to meet with Lin and Raymond Feng who is an agent for Bob Yang Realty in Atlanta. They plan to assess the cost of reparations to the property and work together to determine a solution that will leave the structure intact. There is no definite plans or solutions at this point, but Diment insists that the first concern of the owner is to restore and preserve the original mansion that was built by Mandeville. Lin would like to have lease the property to one or more tenants. When asked about the possibility that donations from the community could help restore the Mansion, Diment was optimistic. The fate of the Maple Street Mansion may lie in the hands of the city residents that so eagerly seek its protection. Donations from the community would be a huge step in the direction of preservation. When Mr. Mandeville built the mansion, did he also own adjacent properties? In 1900 my father-in-law and his parents lived next door. They moved to another house by 1910 but still in Carrollton. On the other/right side of the mansion in 1900/1910 were two different Black families. Would Mr. Mandeville have been the employer of these neighbors?